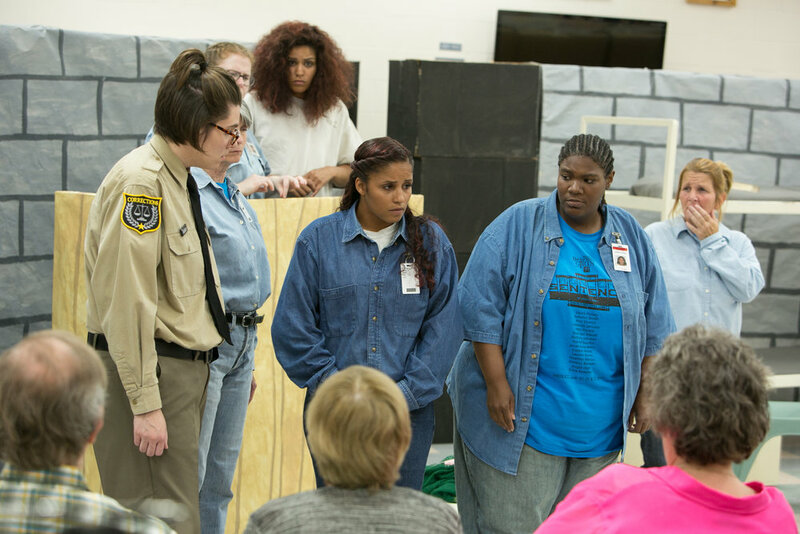 Run-On Sentence is a comedic drama by Stacie Lents, inspired by the playwright’s experiences working with incarcerated women through Prison Performing Arts, St. Louis, MO. Commissioned by Prison Performing Arts, the play tells the story of cellmates whose lives are turned upside down by the arrival of a new inmate. Both moving and funny, the play asks: should people be defined by our worst mistake? Runs approximately 85 minutes. View the January 2018 performance of Run-On Sentence on our YouTube channel below! Your acting was engaging and authentic. I was impressed by your professionalism. I felt like I was seeing what life in prison is really like. As actors you showed us the personal relationships between the inmates, the everyday small joys and sorrows they each experience and how they look out for each other. It was an amazing production and each of you contributed to its success. I was privilidged to see your performance. The talent blew me away. The acting was as good and better than that I have seen on the professional stages in St. Louis. Thank you for providing this thoroughly moving experience. An amazing play with superb work from your cast. I was so honored to be with such strong women who are using that strength toward self- discipline as well as self-expression.